Cluster headaches are an excruciatingly painful form of headache, so much so that they are also termed “suicide headaches.”1 They are classified by relatively short but severe episodes of pain with autonomic dysfunction. The pain and dysfunction occurs ipsilaterally and pain tends to be centralized to the eye and the orbital area. Cluster headaches have bouts of attacks and then remission periods. The bouts tend to be at the same time(s) of year for every occurrence and may last for weeks or months at a time. Attacks begin and end rather suddenly and take place once every other day or up to 8 times a day, often at night.1,2,3,4,5,6 In periods of remission no headaches are experienced. Depending on the length of this remission period, cluster headaches may be considered to be episodic or chronic.1-3 The cause of cluster headaches is still unknown despite several theories. These types of headaches are rare and hard to diagnose and therefore often mistaken for other types of headaches. Further explanation, classification and treatments are posed below. The only way to diagnose a cluster headache is through the patient's history unless an attack is witnessed. The criteria is decided and spelled out by the International Classification of Headaches.1-3,5 The second edition of this describes the factors of a cluster headache as well as if it is episodic or chronic. Normal analgesic medications do not work for a cluster headache. The medications and treatments that do have the greatest effect are either abortive, or significantly decrease or end the attack, or prophylactic, to decrease the number of attacks. Some of the treatments are described in depth on the American Headache Society- Treatment of Cluster Headaches page under Web-Based Resources. While the medical management of cluster headaches has supporting literature, physical therapy tools are only speculations mentioned in passing. It has been suggested to include exercises that help neck movement restrictions and stiffness if present.10 A preliminary research report found evidence that patients with cluster headaches have myofascial trigger points, similar to other primary headache diagnoses.11 The surprising presence of trigger points allowed for needling of the sites with some success.11 Other than these limited interventions, the research of modalitites and PT for cluster headache management is not well established. It is most likely that patients with these types of headaches would seek other medical treatment before a physical therapist would see them. However, a PT should still be aware of these types of headaches and what makes them unique. A PT should know what could potentially trigger a cluster headache. There are only a few and they only perpetuate an attack during a cluster bout. These triggers are alcohol, nitroglycerin, strong odors, smoking and taking naps.1-3 In general, a PT should know where to direct the patient for more information if needed. Headache diaries are very useful to observe patterns of headaches and could be suggested by the PT if the patient does not already do so. 1. Beck E, Sieber WJ, Trejo R. Management of cluster headache. Am Fam Physician. 2005;71(4):717-724. 2. Leroux E, Ducros A. Cluster headache. Orphanet J Rare Dis. 2008;3:20. 10.1186/1750-1172-3-20. 3. Matharu MS, Goadsby PJ. Trigeminal autonomic cephalgias. J Neurol Neurosurg Psychiatry. 2002;72 Suppl 2:ii19-ii26. 4. Favier I, van Vliet JA, Roon KI, et al. 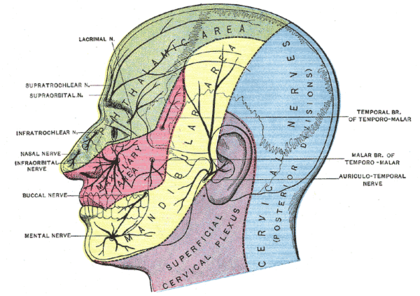 Trigeminal autonomic cephalgias due to structural lesions: a review of 31 cases. Arch Neurol. 2007;64(1):25-31. 5. Joubert J. Diagnosing headache. Aust Fam Physician. 2005;34(8):621-625. 6. Gallagher RM. Headache pain. J Am Osteopath Assoc. 2005;105(9 Suppl 4):S7-11. 7. Cohen AS, Burns B, Goadsby PJ. High-flow oxygen for treatment of cluster headache: a randomized trial. JAMA. 2009;302(22):2451-2457. 8. Jasper JF, Hayek SM. Implanted occipital nerve stimulators. Pain Physician. 2008;11(2):187-200. 9. Leone M, Franzini A, Cecchini AP, Broggi G, Bussone G. Hypothalamic deep brain stimulation in the treatment of chronic cluster headache. Ther Adv Neurol Disord. 2010;3(3):187-195. 10. Dowson AJ, Bradford S, Lipscombe S, Rees T, Sender J, Watson D, Wells C. Managing chronic headaches in the clinic. Int J Clin Pract. 2004;58(12):1142-1151. 11. Calandre EP, Hidalgo J, Garcia-Leiva JM, Rico-Villademoros F, Delgado-Rodriguez A. Myofascial trigger points in cluster headache patients: a case series. Head Face Med. 2008;4:32.